If you love duck but haven’t tried making it at home, this recipe by Tonka’s executive chef, Adam D’Sylva might just be proof that cooking duck can be simple and delicious. 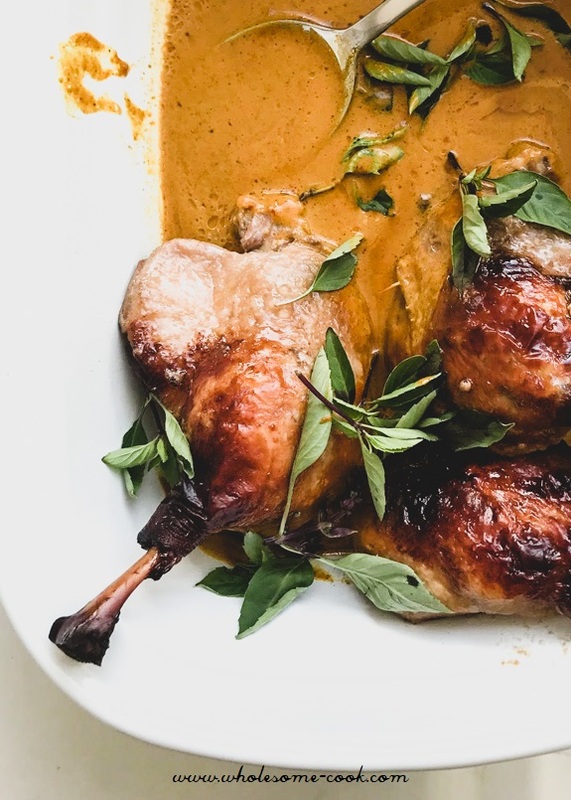 A duck leg confit is pretty much a fool-proof way to a splendid duck. 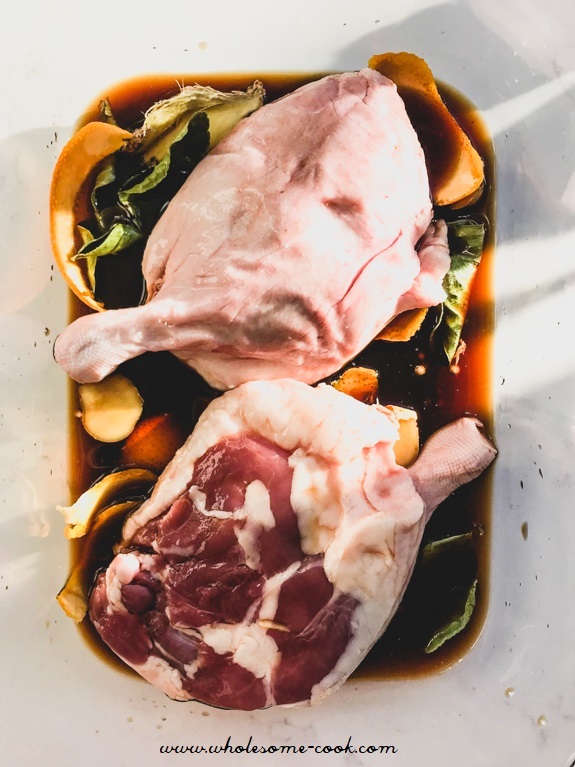 Confit (or cooking a piece of meat in a braising liquid high in fat) is one of the surest way to end up with a succulent, falling off the bone duck regardless of your cooking prowess or prior experience with cooking duck. with an Asian-inspired twist and a winter-warming yellow curry sauce might have just become one of my favourite entertaining dishes. A few weeks ago I flew to Melbourne to the Luv-a-Duck headquarters to learn how to make this and other duck recipes from Adam himself. He actually serves the original Yellow Duck Curry at Tonka so this is a bit of a bonus – if you are ever in town you must try his dish. The duck legs are first marinated in a spiced soy-sauce marinade for 24 hours. This helps infuse flavour into the meat and also helps with achieving a tender result when cooking. 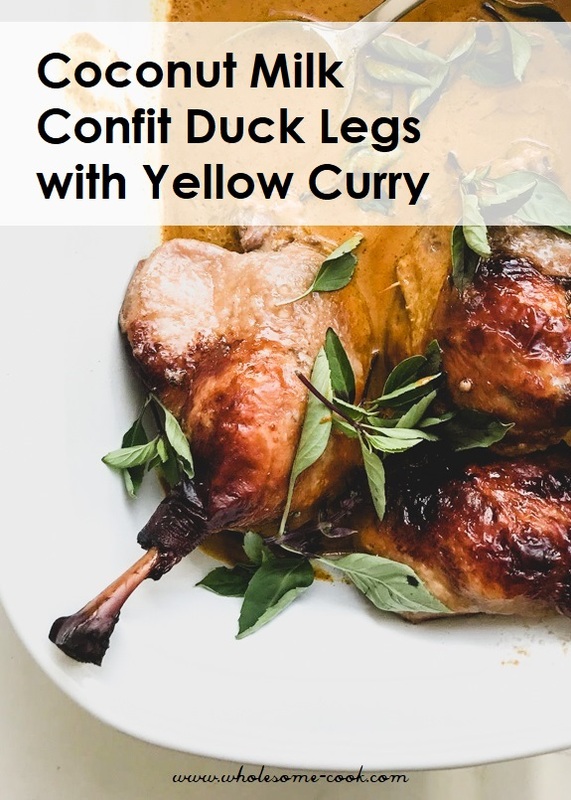 Then the legs are cooked in a fragrant braising liquid which is made up of coconut milk, lemongrass, kaffir lime leaves, chilli and ginger – I have also added some of the soy sauce and orange rind from the marinade here. Once skimmed, can be re-purposed as a sauce to other dishes as well – or used to serve with this dish in place of the yellow curry if it is too spicy for you (hi Mum). The whole dish tastes amazing and I love serving it with the Rice Paper Puffs. They are a little quirky addition to the meal that everyone loves and comments on. 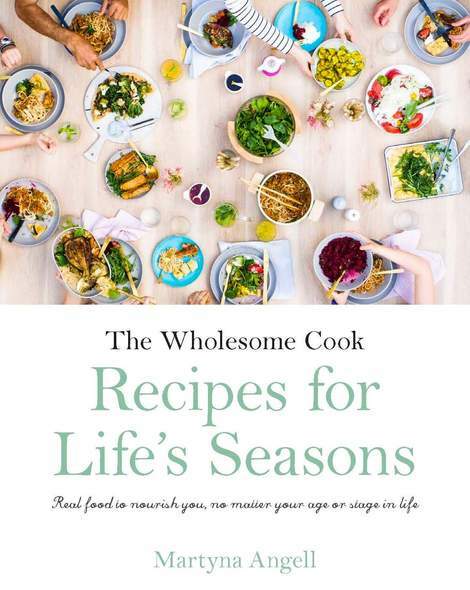 The recipe is adapted from chef Adam d'Sylva's Yellow Duck Curry number he serves at his Melbourne restaurant Tonka. Since I was making it gluten- and wheat-free I've changed the ingredients up a little bit but the result was super tasty. You can get the Rice Paper Puffs recipe here. Luv-a-Duck make duck Marylands which are available from many butchers and supermarkets. First, to "French" the duck legs using a sharp knife in one smooth hacking motion, chop off the end 2cm of the bone on the drumstick and discard. 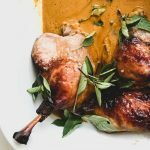 Place duck legs in a large dish or bowl big enough to hold the duck and the marinade. Mix together the remaining marinade ingredients until the sugar has dissolved and pour over the duck legs. Rub the marinade and spices into the legs then cover and refrigerate for 24 hours (mixing and turning the legs over 3-4 times over that period). Preheat oven to 150C. Transfer the duck legs into a large baking dish. Mix all Braise ingredients in a big bowl and add the orange rind and 1/2 cup of the marinade liquid, mix to combine. Pour the Braise liquid over the duck legs and bake, uncovered for 1.5 - 2 hours, until the skin is golden grown and meat tender. Meanwhile, prepare the curry sauce by heating the paste in a small saucepan until fragrant before adding the coconut milk, tamarind (if using) and fish sauce. Bring to a simmer and cook for 5 minutes. Set aside. 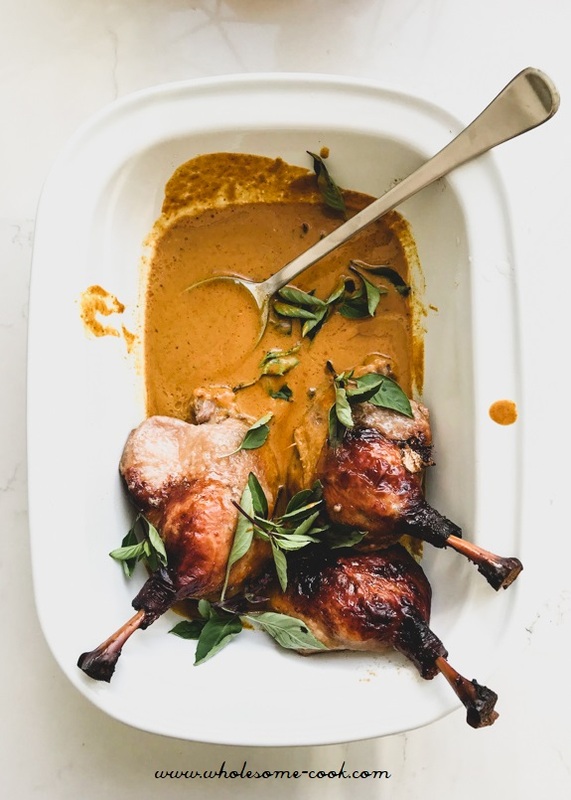 To serve, transfer the duck legs into a serving dish and pour over the curry sauce. Sprinkle the dish generously with Thai basil. Serve with rice and rice paper puffs. ( I love serving this with stir-fried Asian greens as well).